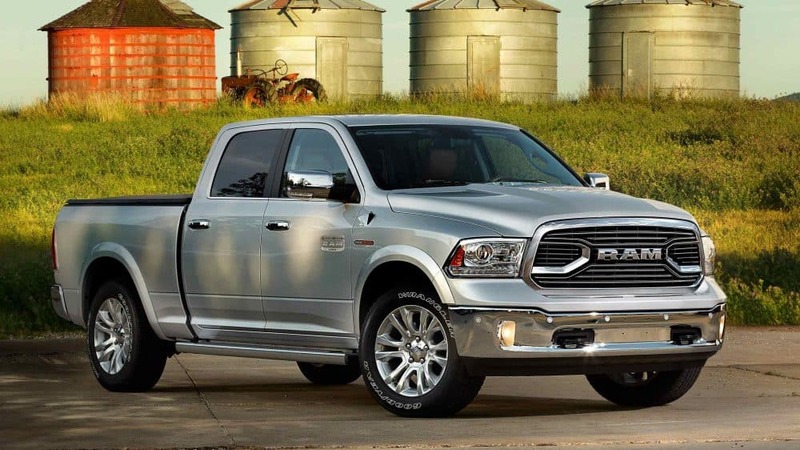 Are you looking for a truck that can haul and tow more than your average pickup? If so, the 2018 Ram 2500 may be the one for you! This pickup offers capabilities that other trucks in the segment struggle to compete with, like a mind-blowing maximum diesel towing rate of 17,980 pounds. 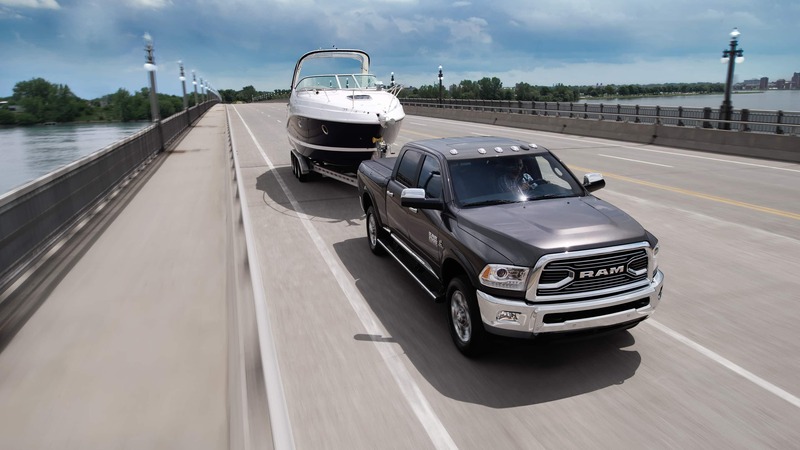 The Ram 2500 also offers gas and diesel engine options and a variety of trim levels that range from an entry-level workhorse to an incredibly luxurious hauler, catering to a wide variety of drivers and passengers! New updates for the 2018 model year include a brand new trim level called Limited Tungsten and a standard rearview camera to make backing up easier and safer than ever before! Keep reading to learn more about the 2018 Ram 2500 and all that it has to offer. 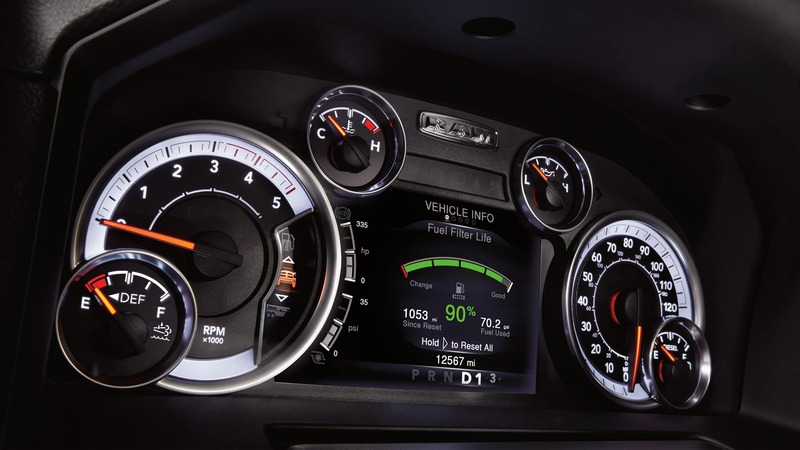 What kind of features does the Ram 2500 offer? No other truck in the segment makes a statement quite like the Ram 2500's exterior. 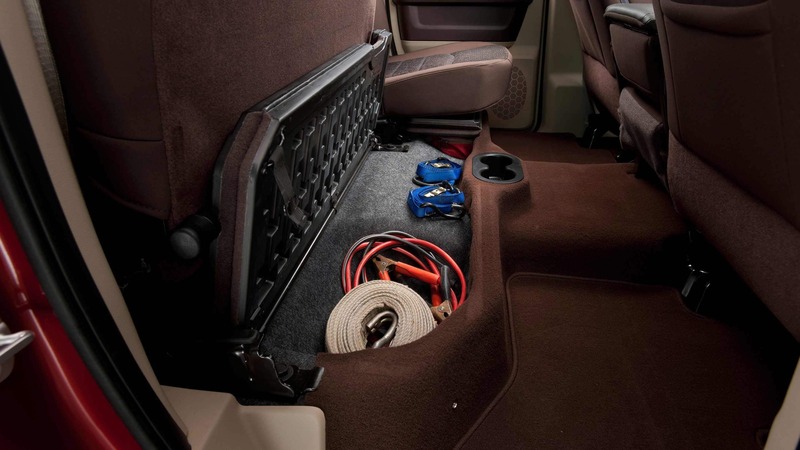 Inside, the 2500 you'll find high-quality materials, easy-to-use controls, and ample passenger and cargo room. Overall, the 2500 offers two bed lengths, three cab styles, and seven trim levels. Standard features include an auto-dimming rearview mirror with an incorporated rearview camera display, a locking tailgate, a front bench with 40/20/40 split folding, 17-inch steel wheels, a driver information display, a tilting steering wheel, a six-speaker sound system, a driver information display, a USB port, and vinyl upholstery. 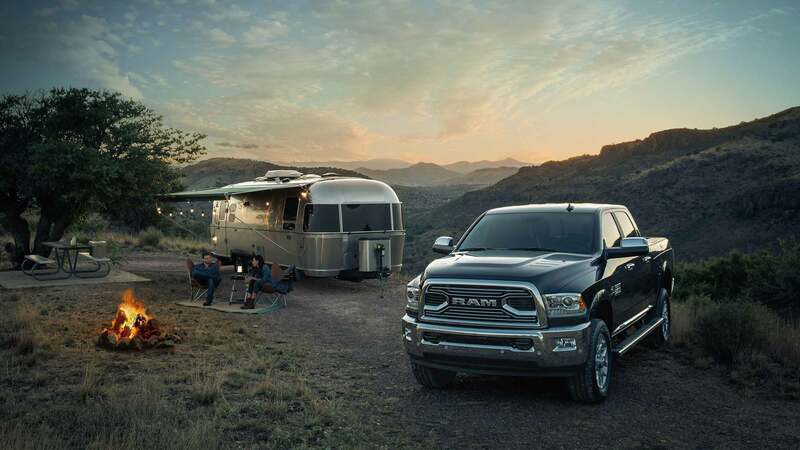 The Laramie trim brings in luxurious features like leather upholstery, projector headlights, heated and ventilated front seats, a 10-speaker sound system, Apple CarPlay and Android Auto, and an 8.4-inch touchscreen interface. The off-roading Power Wagon comes equipped with aggressive all-terrain tires, off-roading shock absorbers, a front anti-roll bar, and an integrated front winch. Does the 2500 offer any standard safety features? When you are busy towing and hauling equipment safety may be the last thing on your mind! There is no need to worry though because the Ram 2500 has your back with advanced safety and security features and equipment. Standard features and equipment include electronic stability control, a rear back up camera from ParkView, speed control, airbags for all seating positions, the Sentry Key Theft Deterrent System, and a tire pressure monitoring display. Available safety and security features include a security alarm, remote keyless entry, a rear park assist system, hill descent control, three reflecting triangles, a fire extinguisher, front and rear park assist system, and a remote start system. 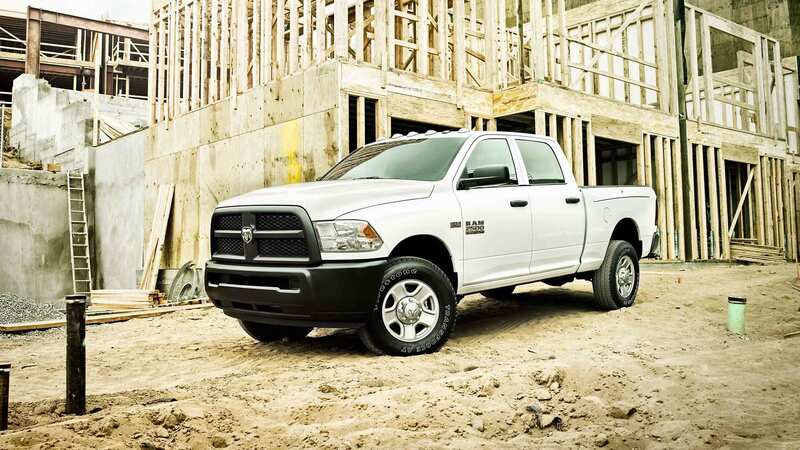 What kind of power does the Ram 2500 offer? There are three incredible engine options available for the 2018 model year. First up is the standard 5.7-liter V8 engine that delivers 400 pound-feet of torque and 383 horsepower. This engine offers a max towing rate of 13,890 pounds. If you are looking for more power, opt for the available 6.4-liter V8 that generates 429 pound-feet of torque and 410 horsepower. This engine can tow up to 16,320 pounds! If you are looking for a diesel power, go for the available turbocharged 6.7-liter diesel inline-6 that cranks out 660 pound-feet of torque and 350 horsepower with the manual transmission and 800 pound-feet of torque and 370 horsepower with the automatic transmission. 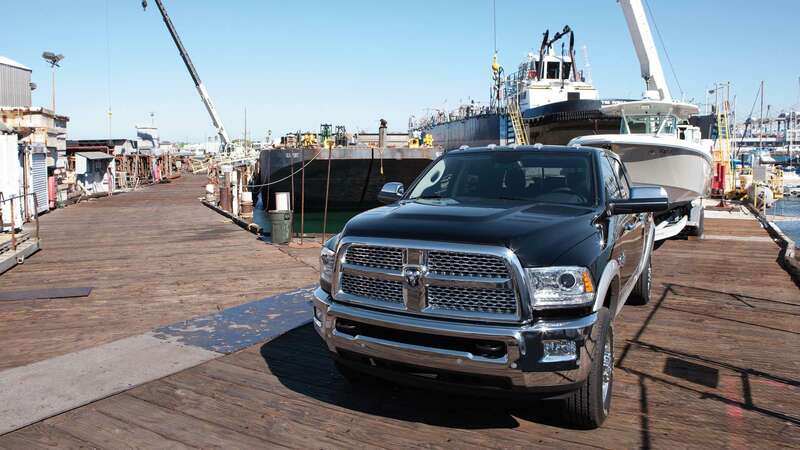 This engine offers the mind-blowing 17,980-pound towing rate! Models equipped with a gasoline engine are mated to a six-speed automatic while models powered by the diesel engine offer a six-speed automatic or segment exclusive six-speed manual transmission. 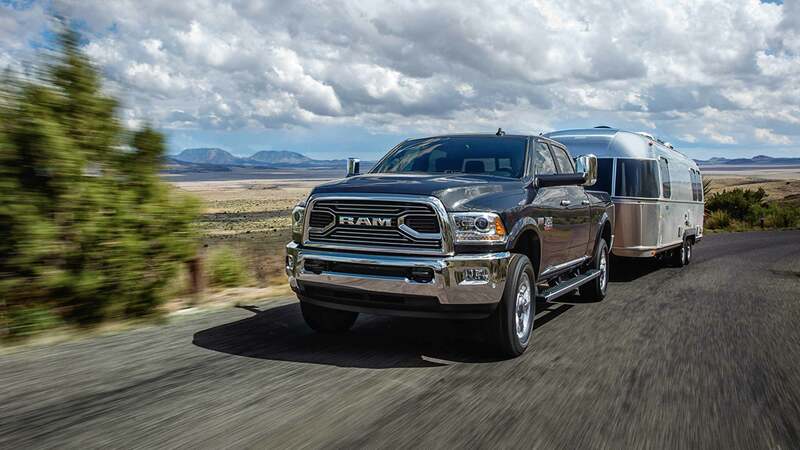 The 2018 Ram 2500 is the perfect truck for those that require a heavy-duty hauler day in and day out! We know with so many great body style combinations, that we have you perfect model on our lot! Come on down today and check them out in person and even take one out for a test drive to try it out for yourself. You can also give our sales department a call or fill out the contact form below to learn more about the 2018 Ram 2500!